Women's Trophy Hunter Henley is rated 4.8 out of 5 by 28. Comfort isn't something you want to sacrifice when you're going after that next trophy buck. Start your outfit with this, and you'll never have to stress over that again. 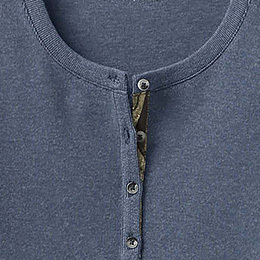 "I have too many henleys," said no one ever. Layering goes with any occasion, so you might as well fill your closet with these. Always on the hunt? Reach for our Trophy Hunter Henley. 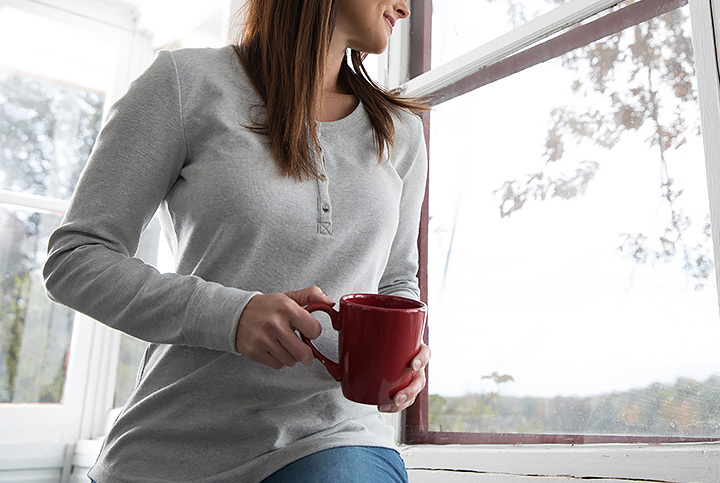 Super soft cotton/spandex fabric flexes for active comfort, and you’ll love the raw edge on the long sleeve cuffs. 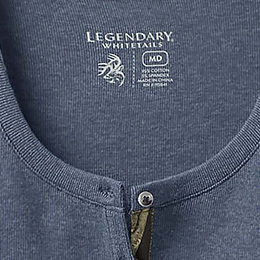 Big Game Camo® detailing, plus a Legendary® Signature Buck metal tag on the shirttail hem. 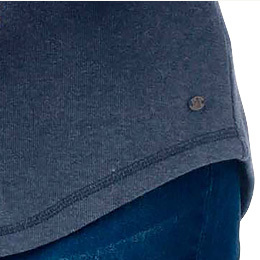 Scoop neck with button placket. Rated 5 out of 5 by Jeff A from Great quality As usual, very happy with my purchase from Legendary Whitetails. This is well made, however it does run a little big for the size I purchased. But, still love the feel of it and it’s comfortable. Rated 5 out of 5 by Brittany from Favorite Shirt! This shirt is my new favorite. The material is thick enough to keep me warm & it's extremely soft feeling! Rated 5 out of 5 by DMB1 from Perfect Henley! 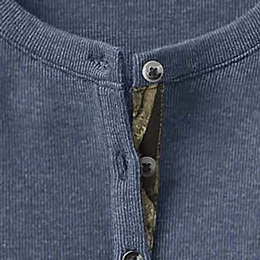 This henley is heavy weight! Perfect alone or with a flannel shirt or hoodie.